A new study featured by the Market Research News shows that assistive devices for seniors and persons with disabilities have a positive outlook from 2019-2024. In the US alone, the study projected an increase of need for these devices at 9.2% rate. What this data means is that more and more innovations are now being manufactured to cater to the needs of our senior loved ones so they can continue to remain independent at home. This doesn’t mean however that the actual presence of caregivers in Orange, Connecticut is no longer necessary. On the contrary, gadgets simply enhanced the need to focus on person-centered care and compassion, which only people can provide. With this, it’s still noteworthy to consider five important gadgets that will prove beneficial for seniors. 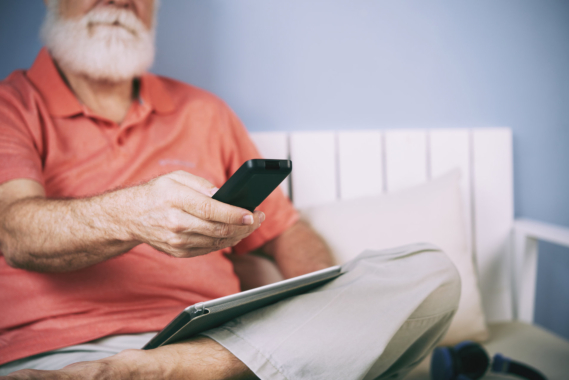 When a senior person encounters an accident without someone to aid them immediately, this internet-connected gadget triggers an alert to call centers, which provides a GPS location of the senior, connecting them to a network of care providers. When seniors forget about their medicines, and with no Home Care provider to remind them, mobile phone apps can be set to do the reminding. Some senior-friendly gadgets come equipped with voice reminders, which can be customized to remind about specific medications. This technology comprises different safety features inside the home that can be automated to sustain senior safety. For instance, an automated shower can be set to control water temperature that is just right for the senior person’s needs. These gadgets support a senior’s safety so that while they can enjoy the efficiency of the equipment, they will also not worry about tripping over or tucking messy wires. Gadgets that answer questions to the weather forecast, latest news, or search information online are now also accessible for seniors. Since these are voice-activated, seniors on bed rest can also benefit from them. Meanwhile, if you’re in need of caregiver staffing in Connecticut, our team at Amity Home Care is here to back you up. This entry was posted in Senior Independence and tagged Compassion Care, Healthcare, Home Care, Medication Reminders. Bookmark the permalink.